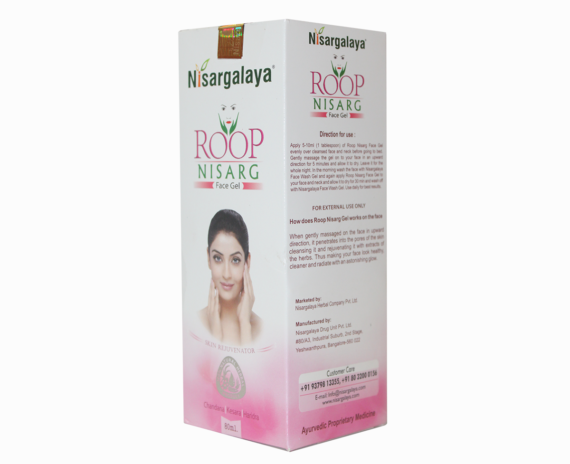 Nisargalaya Roop Nisarg Face Gel is made from precious herbs that are documented in ancient text books of Ayurveda as natural fairness enhancers and skin conditioners. 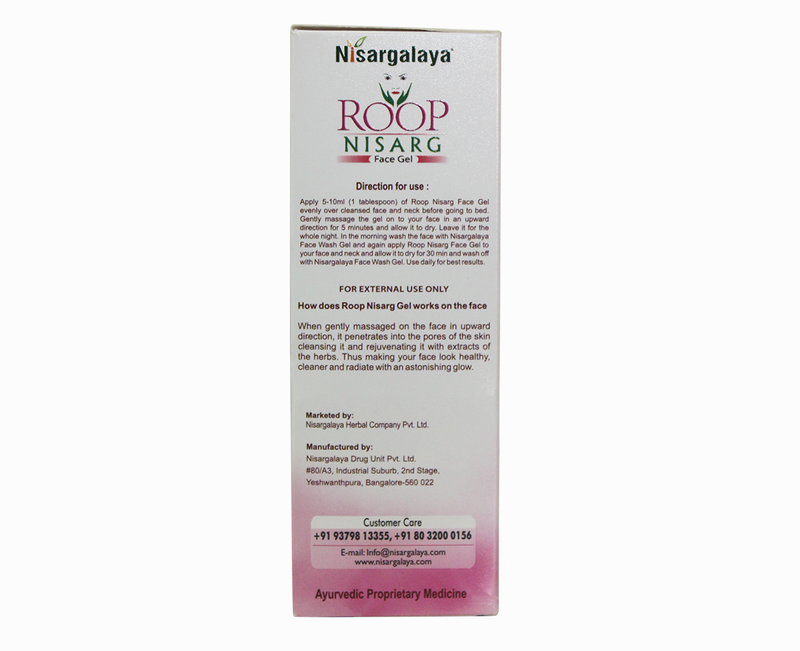 Nisargalaya Roop Nisarg Face Gel is made from precious herbs that are documented in ancient textbooks of Ayurveda as natural fairness enhancers and skin conditioners. 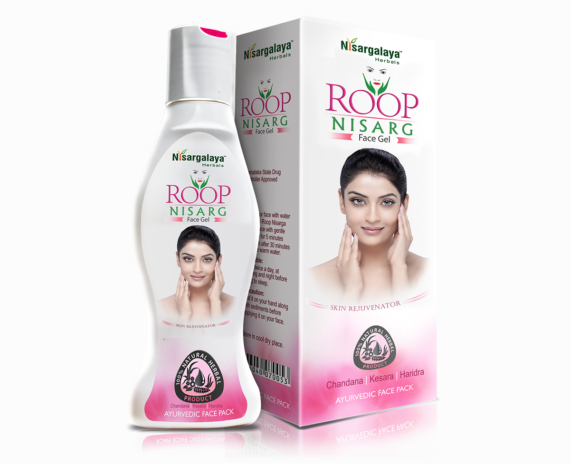 Nisargalaya Roop Nisarg Face Gel is a specially formulated gel with selected herbs, which protects skin from sunlight and pollution. 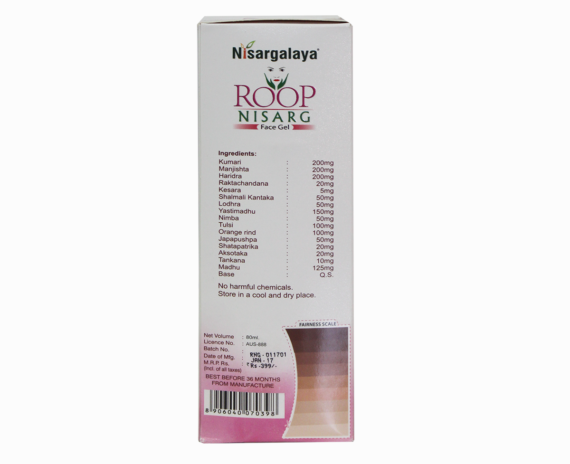 Nisargalaya Roop Nisarg Face Gel helps to remove dead skin cells & provides new healthier skin. Nisargalaya Roop Nisarg Face Gel improves skin texture & nourishes the skin. The specially blended natural herbs known for Softening effects and Skin Nourishing Properties have been added to regenerate the skin. 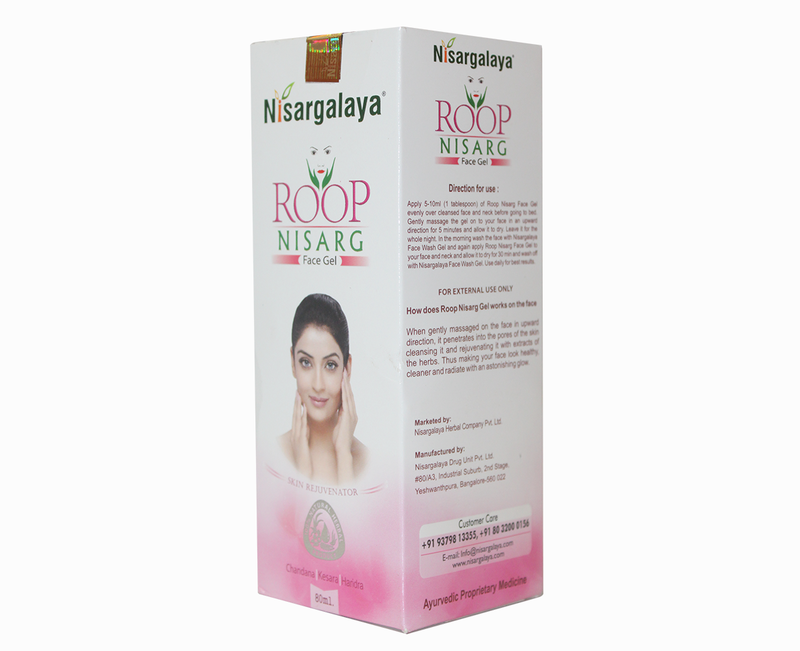 Nisargalaya Roop Nisarg Face Gel Formula improves the fairness, complexion, and conditions the skin. It does not only give us shiny skin, it even frees our skin from all kinds of dark and light face marks, scars, spots, and blemishes etc. Kumari: It provides moisture, antioxidants, vitamins, minerals and all the other ingredients required for keeping skin healthy and glowing. Orange rind: Lightens the dark spots and scars. Madhu: Honey is naturally antibacterial, it is useful for acne treatment and prevention of aging. 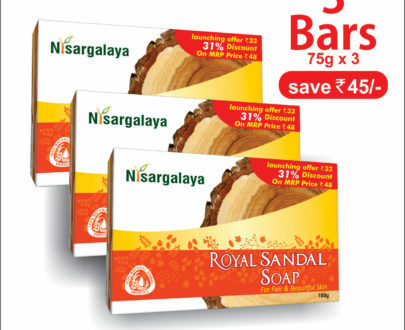 Rich in antioxidants, it is extremely moisturizing and soothing. Haridra: Acts as antioxidant and anti-inflammatory, improves skin tone, helps to lower the melanin levels naturally and make skin fair. 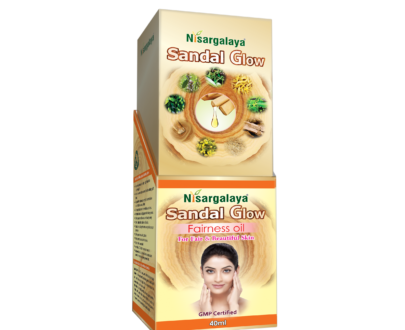 Manjishta: It acts during skin disturbances like boils, rashes, eruptions, and stagnations. It acts like anti-inflammatory, helps in treating eczema, bruising, and psoriasis. It keeps the skin glowing, removes pimples, freckles and discoloration. Shatapatrika: Protects skin from infection, clears heat and inflammation from the skin, it cleans the blood, stops itching and reduces suppuration. Tankana: It is used for the treatment, control, prevention and improvement of skin disorder Eczema, pimples, warts. Aksotaka: Gives healthy complexion, supports healthy melanin pigment in the body, it is the blood purifier, support skin health. Khadira: Fights skin infection and allergies, very effective in the treatment of pigmentation disorder of the skin, Leucoderma, Vitiligo etc. 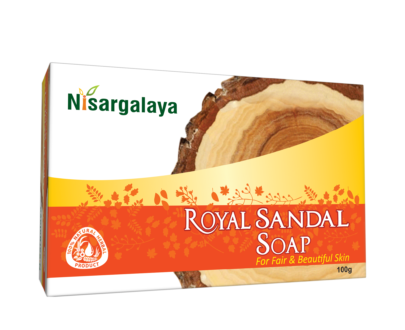 Chandana: It gives radiant complexion, makes skin even toned, helps exfoliation, controls oiliness of the skin, removes ugly sun-tan, and clears up acne and pimple. Kesara: Lighten skin, helps acne and blemishes, treats dull skin, and improves skin texture. Shalmalikantaka: This keeps the skin smooth and fights wrinkles. Stimulates Collagen, and pimple. Lodhra: is useful in removing edema. It is also considered to be hemostatic, anti-leprosy and has many wound healing properties. Uses in other skin diseases. Tulsi: It purifies the blood from toxins and prevents the appearance of acne and pimples. 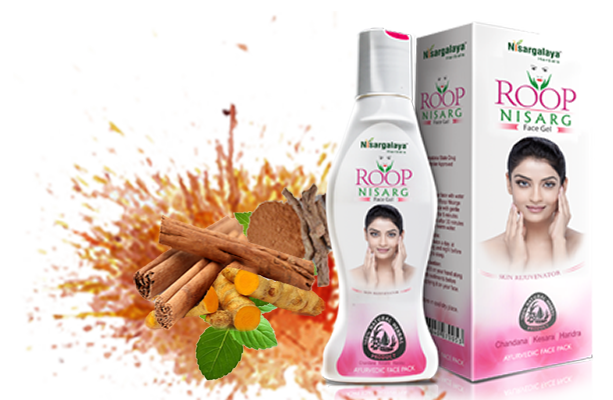 Japapushpa: The natural acids present in Japa help to purify your skin by breaking down dead skin and increasing cell turnover, they can even help to control acne breakouts.